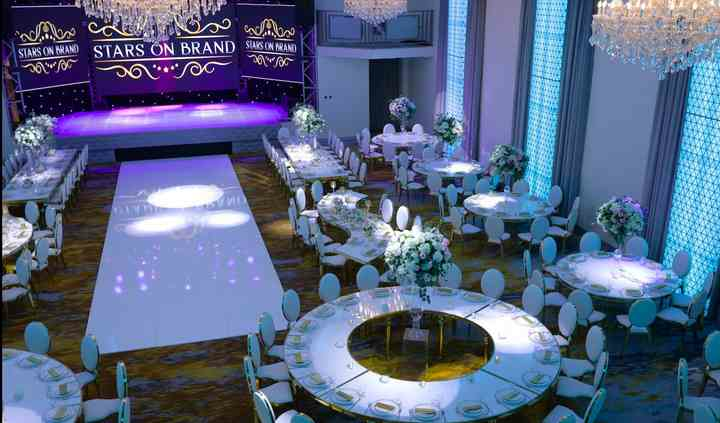 Stars on Brand is a banquet hall venue located in Glendale, California. To offer couples the best experience possible, this banquet hall has been recently remodeled, and ff you would like to take a look at the venue before your wedding day, you are more than welcome to book a free tour. 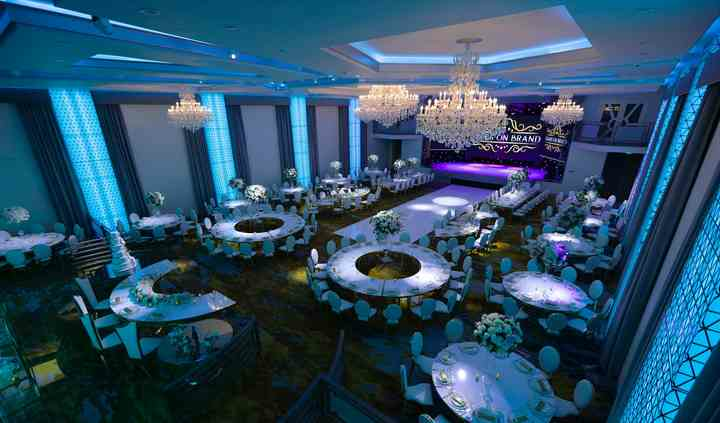 Touring the venue allows you to experience the setting options, as well as better plan your wedding decor and layout. 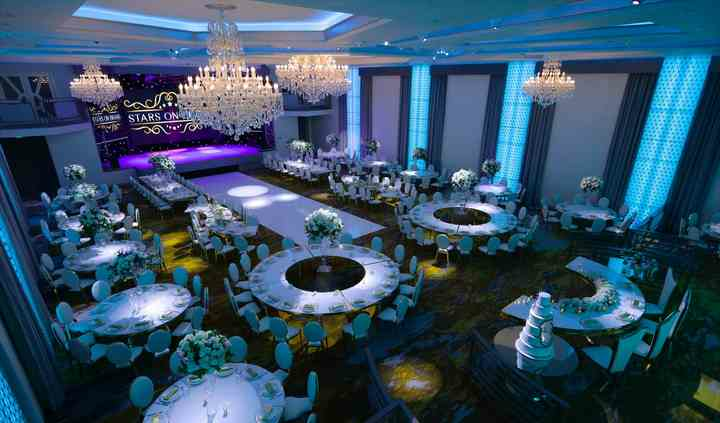 Stars on Brand offers a variety of customizable spaces in which you can host your dream wedding in. The interior of the venue is dramatic and luxurious, with plenty of sparkling chandeliers that provide a glamorous glow during the ceremony and reception. 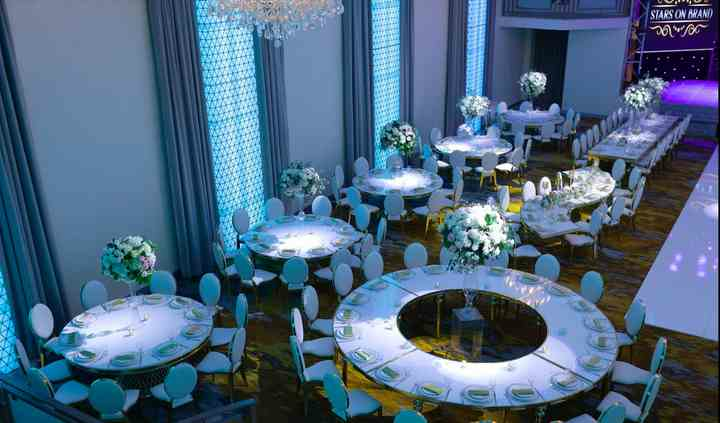 Many windows fill the space, allowing your wedding events to have plenty of natural light. Because the space is open and expansive, it can comfortably accommodate up to 500 of your friends and family. To make planning your wedding easy and stress-free, the team at Stars on Brand offer three main package options: Basic, Premium, and Royal. When you host your ceremony and reception at this venue, you will also get to use the LED lighting provided to add a fun glow, as well as the big screens to entertain your guests.